Urging teachers to teach students morals, values and ethics, Vice President M. Venkaiah Naidu on Tuesday advised educational institutions to make social service mandatory for their wards. 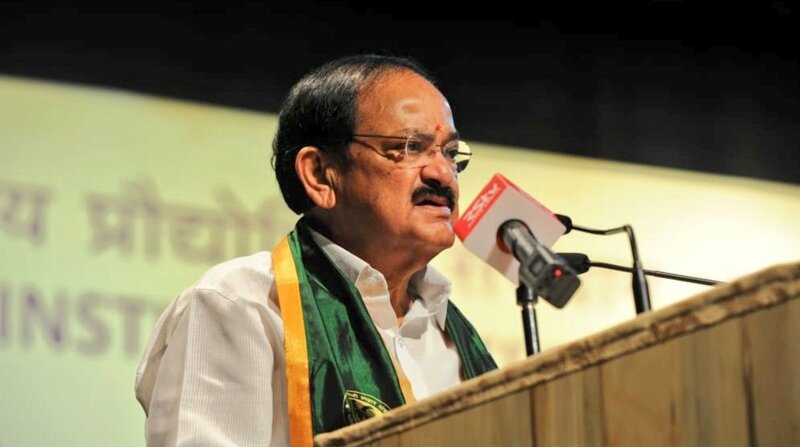 “Make social service or service to armed forces or voluntary organisations like National Service Scheme (NSS) and Scouts & Guides mandatory for conferring degrees,” said Naidu at a function here. Addressing the valedictory function of the V.P. Deenadayalu Naidu’s centenary celebrations here, Naidu said social services would help students inculcate the spirit of oneness, nationalism and social consciousness. Born and brought up in Bengaluru, Deenadayalu (1917-1998) was the National Commissioner of the Bharat Scouts & Guides from 1992-1995 and got elected as Mayor of Bengaluru in 1955. As a student leader in over a century-old freedom movement, Deenadayalu was imprisoned three times by the British Raj for participating in the struggle. In recognition of his yeoman service to the country and people, Deenadayalu was conferred the Chairman’s Award at the 19th Asia-Pacific Regional Scout Conference at Hong Kong in July 1998. Deenadayalu was a member of the All India Congress Committee and a member of the state legislative council in 1948. “Deenadayalu has record of public service in scouting and guiding. Starting as Rover Scout during his college days in 1942, he served the scouting movement for over six decades,” recalled Naidu.